Robo advisors have taken over the investment world. A computer that manages your investments and grows money for you? Sounds great. But how do they work exactly? And should you use them to help manage your finances? A robo advisor provides automated investing service. Basically, a computer is doing the investing for you. 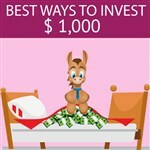 It will select investments it thinks are right for you and manage your account. Option 1 was both scary and time-consuming for many investors. But Option 2, hiring a traditional financial advisor, tended to cost a lot of money. You often needed at least $50,000 just to open an account. And, you'd pay 1% - 2% of your assets each year for the service. Nowadays, robo advisors exist to help investors who want another option. Robo advisors use technology to perform investment activities. It uses algorithms to manage your portfolio based on your risk tolerance. Because the service is automated, the costs are very low. Robo advisors use Modern Portfolio Theory. This strategy diversifies your portfolio by investing in many different assets. It's a good idea to have a diversified portfolio, because this reduces the risk that any one investment can wipe you out. It's also a good idea to have many different types of investments. In other words, if you own 15 different technology stocks, they might all go down in value at the exact same time. So it's better to have more than just technology stocks in your portfolio. You can read more about Modern Portfolio Theory here. Robo advisors mainly use ETFs (Exchange Traded Funds) to build a diversified portfolio. An ETF is a collection of stocks and bonds, so it's less risky than single stocks. ETFs also cost less to trade, so that means the portfolio is cheaper to maintain. When you set up an account, you will answer questions about your age, income, goals, and risk tolerance. Based on the answers, the robo advisor will build your portfolio. You get to sign off on their recommendation before they actually invest your money. Inexperienced/new investors: Many people are afraid of making bad investment decisions, so they never get around to it. If this is you, then a robo advisor is great to help you take the first leap into the world of investing. It does all the work for you. You can use robo advisors while you learn about investing. As you become more comfortable with investing money yourself, you can begin to pull your money out of your robo advisor account. Then, you can re-deploy it however you want. Meanwhile, at least you're earning money on your portfolio with a robo advisor. Low balance investors: Often, a financial advisor won't work with you unless you have a large amount of money to invest. Robo advisors don't require nearly as much. In fact, many have no minimum requirements at all. So you can start investing even with just a little money. Those who feel comfortable with technology: While all robo advisor services have a 1-800 number you can call for account management, you usually won't get much support otherwise. You will need basic internet skills to set up an account with a robo advisor. Your risk tolerance: The robo advisor will ask you questions about this when you open your account. The more comfortable you are with risk, the higher your potential for returns. BUT, on the flip side, higher risk can go the other direction too. You might lose more money than if you had a conservative portfolio. This brings us to…. 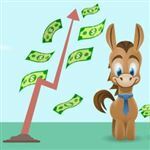 How the market performs: As with any portfolio, how well the market performs will influence your returns. If the market performs well, so will your portfolio. If the market goes down, your portfolio will too. It's just how investing works. 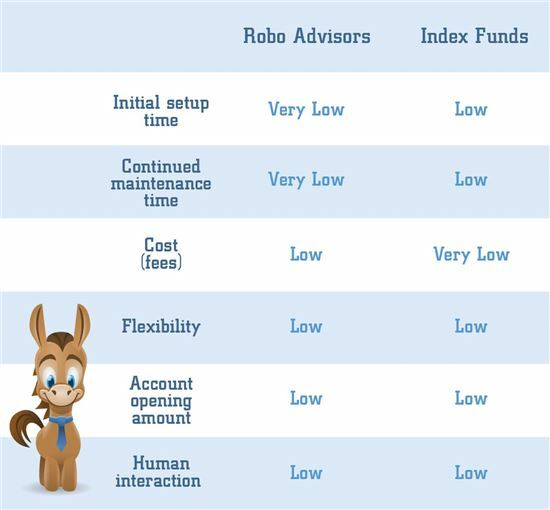 Fees: Here's where robo advisors really shine. Financial advisors often charge 1% to 2% of your assets per year, which can really eat into your returns. However, robo advisors tend to be just a fraction of the cost. The lower your fees, the more money you get to keep in your portfolio. That money can grow and earn even more money over time. How your portfolio performs is entirely dependent on what investments it consists of. A robo advisor selects investments for you according to your risk profile. These different investments can vary widely. They mostly include ETFs and mutual funds, which hold a lot of different investments themselves. It's important to remember that an ETF or a mutual fund can hold conservative or aggressive investments. 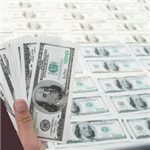 Conservative investments include bonds and cash. Aggressive investments include some stocks, especially foreign stocks. If you're using a robo advisor service, you don't need to know all of this. You just tell the robo advisor how risk tolerant you are, and it will choose what to invest in. This takes the learning out of investing for you. However, there is a lot less flexibility this way, which we'll discuss next. So, what if you learned about investing all on your own and managed your own portfolio? Here's how that might compare to using a robo advisor. Time. Using a robo advisor takes a lot less time than doing it yourself. If you DIY, you must spend a lot of time to research which assets to invest in, and how much. You also need to update and rebalance your own portfolio. Flexibility. Robo advisors only allow you to invest in certain types of funds (usually just ETFs or certain mutual funds). And you don't get to choose which funds you want to invest in. If you DIY it, you can invest in whatever you want. Cost. For DIY, this can vary greatly. Watch out for fees and account minimums. If you're an active trader, each trade will cost you, which can really add up. Instead of a full DIY approach, you could take a simplified approach and invest in some low-cost index funds. Vanguard Index Funds are a good example. And they even offer a risk questionnaire similar to what you would see with a robo advisor. What are index funds? Index funds are a collection of many stocks, so you get diversification with just one purchase. They're passive investments, meaning that they're not actively managed. So while index funds are designed to mirror the market performance, they won't outperform it. However, they are relatively risk-free investments. So how does this approach compare to a robo advisor? Time Investing in index funds requires a little more work than with a robo advisor. You have to choose the funds you'd like to invest in. And you have to keep monitoring your portfolio. Flexibility. You get to choose which index funds to invest in. But aside from that, you don't really get a say in what's in your fund. Cost. One benefit is that you don't pay a management fee. You'd only pay the expense ratios of the investments in which you invest. And they're already very low (such as with Vanguard index funds). This saves you a little extra money. If you really prefer to sit down with an investment professional, you might wonder how robo advisors compare. Here's how. Time You just need to tell your financial advisor your needs and he will choose the best investments for you. Flexibility. A human advisor can tailor your investments specifically to your goals and financial situation. If something changes in your life, he can adjust your plan. And if you have more complicated needs, he can provide personalized guidance. Cost. Traditional advisors cost a lot more. They typically charge 1% to 2% of your assets for their services. Compare that to the 0.25% to 0.50% for most robo advisors. Robo advisors are great for those who want to be hands-off. If you're young, inexperienced, or have less to invest, a robo advisor is great for being able to get into the game. However, if you're a very confident investor, then you may be able to see better returns managing your own investments. Or if you have more complicated wealth management needs, a real human advisor may be able to serve you better. Share on Facebook "Beginner's Guide to Robo Advisors"